HST Solar – formerly a manufacturer of ground-mounted dual-axis trackers – has undergone a dramatic metamorphosis into a developer of a cloud-based solar farm project management toolbox. The company claims that its software can do the work of 10-15 professionals, delivering actionable insights with regard to engineering, finance, procurement and construction – thereby seriously reducing project overheads and improving returns. The story that HST is telling seems to fit in with the broader understanding of large-scale solar in Australia. Australia’s own ARENA has recently pointed out that there is significant potential for large-scale solar costs to be reduced here, to the point where solar farms should even become viable against wind farms in the right conditions. Large-scale solar power, ARENA notes, has not yet reached the level of maturity that wind has. Solar Choice caught up with HST’s co-founders, Santanov Chaudhuri and Rudy Roy, to ask some questions about their transformation, their new platform, and their views on the ability of utility-scale solar farms to shake up Australia’s electricity market. Q: Making the move from product manufacturing to cloud platform development seems like a big leap at first glance. What prompted HST to move from the solar tracking space into the project management space? Our mission at HST Solar has always been to scale large scale solar power deployment exponentially. We knew that this would best be achieved by bringing higher investment returns to the industry. Higher returns can be achieved through more cost effective solar hardware (rack and tracker) design, or by addressing the soft costs related to system design and engineering. At a time when the price of panels and other hardware dropped significantly, we decided to focus on these soft costs. As we focused on system design and engineering, we prototyped our own tracking and other Balance of Systems (BoS) hardware in an effort to develop best practices and standards for our integrated design and engineering platform. Thus we dedicated our early efforts to product manufacturing. Prior to HST Solar, we worked in renewable energy investing and spent time as solar developers. This experience gave us a firsthand experience of the challenges in integrating all the disciplines in a solar project. As background, solar design and engineering services are performed by various professionals covering diverse disciplines such as electrical engineering, structural engineering, geotechnical engineering, civil engineering, finance, and so on. The modus operandi saw each professional designing the project in an optimized way for their needs, leading to high transaction costs and inefficient system designs. More than a project management software solution, we knew we had to create an end-to-end platform that uses software to integrate all the decision-making aspects of those disciplines. This allowed us to rely on computing power to search through millions of iterations to arrive to fully optimized designs based on the specific project needs (e.g., optimizing for highest IRR, optimizing for highest solar output, etc…). 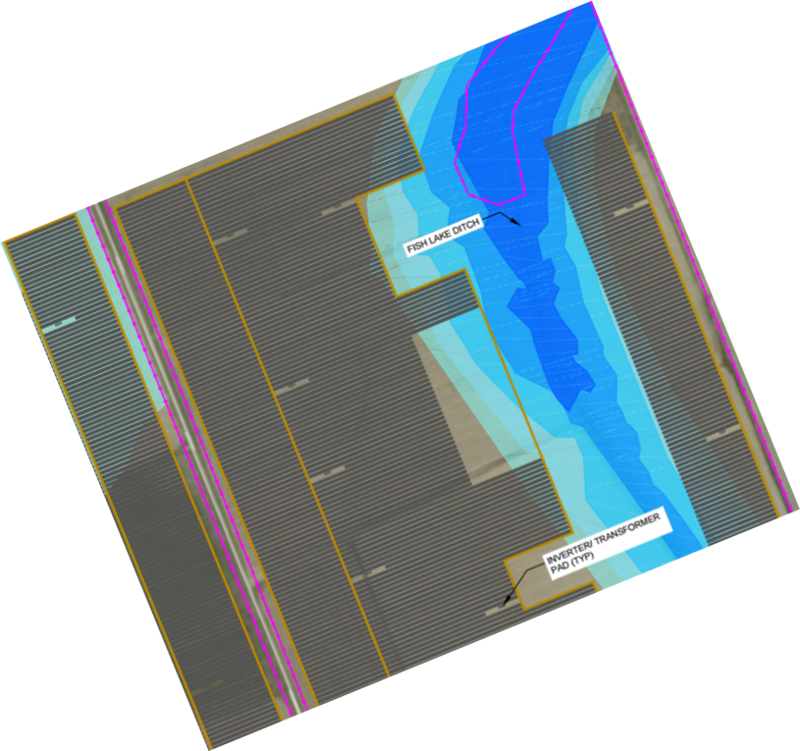 Alongside plant layout and detailed analysis, we provide a detailed bill of material showing total installed costs as well as LCOE and project IRR analysis. What usually is done manually over multiple weeks to a couple months, we are able to complete in days if not hours with significantly more interesting results. Over a two-year timeframe, we designed over 1GW of largely US-based utility scale projects using our end-to-end platform. As we migrate our software platform to the cloud, we realize that our market reach expands significantly and we will be able to serve clients in very promising markets such as Australia. Q: Generally speaking, what opportunities are there for software to save time and money for solar farm developers? Within the design and engineering industry, firms bill and budget projects according to an estimate of the number of hours necessary and the respective hourly rate. As such, both time and money are more intricately tied together in solar than in other industries. After significant investment and time building our platform with leading solar engineers, we are now in a position to help the industry reap the benefits of an integrated design environment. To give you an idea of the savings, our software is able to complete a run of the system design and optimization process with millions of iterations within minutes and up to a few hours after an engineer enters basic inputs. For the same project, it could take a team of 2-5 engineers anywhere from 4 to 8 weeks; or several hundreds of man hours. As the large scale solar industry continues to grow rapidly, we see that our value-add revolves around providing a design and engineering capacity to engineers at developers, contractors and utilities that cannot match the demand. This is even more critical in markets newly investing in the solar industry with limited solar engineering expertise. Q: With regard to HST’s platform specifically, what value proposition does it hold for solar farm developers? What parts of the process does it streamline? Our platform is focused on empowering developers design and build optimal solar power facilities personalized to their needs. As previous developers, we understand key process bottlenecks can hamper project feasibilities prior to financing or interconnection agreements. Our platform provides project feasibility analysis in real time and at no cost to developers. 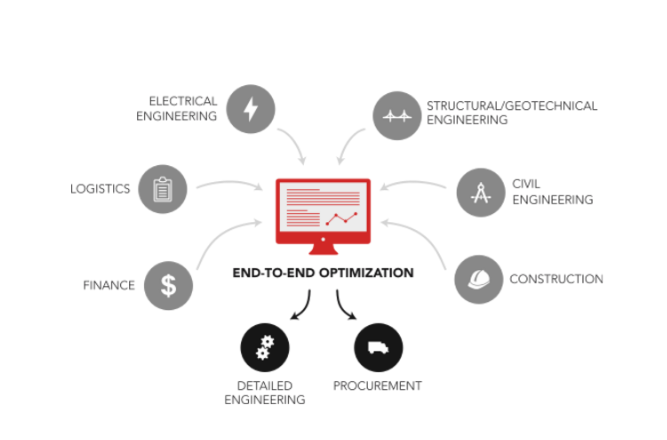 Additionally, our design platform uses computing power to run millions of iterations within minutes to find optimized plant designs covering electrical engineering, civil engineering, structural engineering, geotechnical engineering, project finance, weather, building code, taxation amongst others. This streamlines plant design and execution between system designers, engineers, and procurement professionals significantly and in the process eliminates project risk, multitudes of change orders, and improving profitability. Q: Can you give any examples of where HST’s platform has been put to use in the development of a solar farm? Our platform has been used to develop solar farms across the US. We realize that the best way to show the power of our software platform is by demonstrating project design for a project already developed. For example, we have been able to show solar developers projected all-installed cost savings of up to 30% compared to actual costs, mostly driven by bill of materials savings and through efficient engineering. Given the significant investment outlays on large scale solar projects this can translate into millions of dollars of cost savings. Q: Despite the commissioning of a number of solar farms, world-leading success with rooftop solar and ample sunshine, Australia still lags woefully behind many other countries when it comes to large-scale solar deployment. What opportunities do you see in the Australian utility-scale solar space? From a very early stage, we identified Australia as one of the most promising markets for our solution. While Australia has not seen the same growth as other markets in large scale solar, we strongly believe that a policy will soon be put in place to stimulate the growth and investment in this sector. With the Paris Climate Accord in December 2015, we believe that we will see significant new push for large scale solar projects across the world. In addition to our core engineering expertise at HST Solar, we are lucky to boast a wide set of experience covering government policy, taxation policy, investment banking, venture and private equity, and we all see our role in bringing transparency into large scale solar investing. Solar is on a fast declining cost curve and we are getting more competitive with fossil fuels; annual solar installations have increased rapidly in spite of significantly lower oil and commodity prices currently. We believe that Australia’s robust financial institutions will play a significant role in stimulating the industry once there is evidence of long-term sustainable returns available in the large scale solar deployment. Q. Because of the already large and growing number of rooftop solar PV systems here in Australia (now over 1.5 million), there is talk about harnessing these distributed resources and amalgamate them into players in the National Electricity Market. Could HST’s platform also be used in the development of projects that involve multiple, small-scale solar PV systems – and if so, what would be the advantages? The success of Australia’s rooftop solar systems has been noted on various occasions. As we launch on the cloud and serve more projects across the world, we see rooftop as a natural continuation to our services. We would be launching our design platform out from stealth mode in the spring and would love solar developers to visit us at www.hstsolar.com and benefit from our free project feasibility tool and promotions.